An adult playground in the Bijlmer Park, Amsterdam. 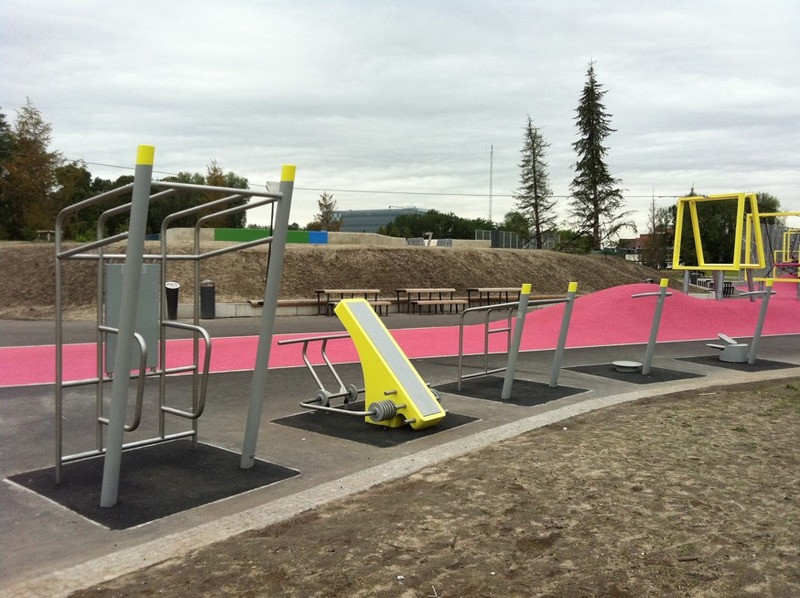 Basically an outdoor gym of training-type structures. Adapted for safer use by the general public with fewer moveable parts, utilising the users body, pivot joints and gravity to create a workout.